It has come to our attention that some Traxxas Mains Powered Chargers and Power Supplies have been supplied to UK customers that were fitted with an un-fused mains plug. 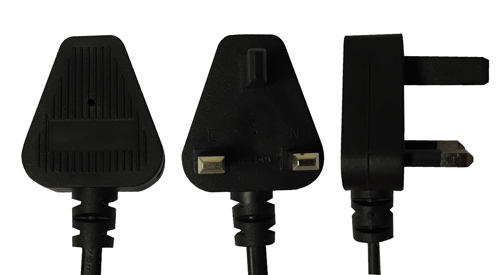 If you have a Traxxas power supply or charger that has been fitted with an un-fused UK style plug (as shown below), then please return the product to your retailer immediately so it can be exchanged. Why do we use a fused plug in the UK? Whilst fused mains plugs are not normally used in other countries, a UK domestic ring main is designed to supply multiple sockets, so unlike other countries, we normally have a circuit breaker rated at over 30 Amps. Therefore, for devices with cables, a fused plug is used to give the user additional protection against faults in the device or the cable. Whilst under normal circumstances an un-fused plug may appear to work fine, it does not offer the same level of protection as a fused BS1363 approved plug. Can I change the plug myself? Whilst some customers may be suitably qualified to replace the plug with an appropriately fused plug, we cannot accept any liability for this being done incorrectly, so request that your device is returned to your retailer for exchange. Why can't it be used with a fused extension lead? Using any un-fused plug in combination with a suitably fused extension lead should not be regarded as an acceptable solution, so we request that all devices must be returned for exchange. If you have purchased a device that has an un-fused plug fitted, then we apologise for this inconvenience and we will do our very best to get your device exchanged as quickly as possible.